Here are some key points that I got out of the WWDC Keynote. 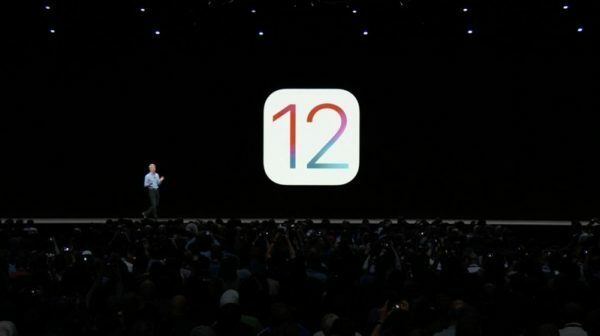 -All iOS 11 devices will be able to run iOS 12. All the way back to the iPhone 5S. -Apps launch up to 40% faster in iOS 12. -AR (augmented reality) will play a big role. – New file format called USDZ. -New app called Measure, that is super accurate. Already lots of these apps on the app store, so Apple is making them better and FREE. -ARKit is a developer platform. Launching ARkit 2.0 – Allows shared experiences for multiplayer gaming. -Photos, has search suggestions and is much more powerful now. -Siri has the ability to integrate with apps by using custom commands and adding a shortcut to the specific app. New shortcuts app. Uses a simple drag and drop editor to create a customized workflow. -Redesigned News app, and Stocks app. The Stocks app finally is available on the iPad with iOS 12. Voice memos was rebuilt and also available on the iPad for the first time. iBooks has been redesigned and now called Apple Books. -CarPlay updated with 3rd party navigation apps with iOS 12. -Do Not Disturb for bedtime – wont show notifications until you allow them, so you will not be tempted to look at them. -Notifications have been improved. Grouped Notifications are finally here! -App limits with Screen Time. – You can set time limits on apps and it allows you to see total usage by app. Can have allowances on kids usage. App Limits by time and can shut off everything or specific apps at certain times of the day like bedtime. -Messages – Now has Tongue detection on animojis. New Ghost, Tiger, T-Rex, and Kola. – New Memoji – Create your very own personalized animoji. Similar to Nintendo Mii characters. You can customize everything. Includes new Messages effects. -FaceTime has added Group FaceTime. – Up to 32 simultaneous participants. FaceTime is Integrated into messages now. Can now add effects to FaceTime. WatchOS 5 – can create workout competitions with friends. Can now keep track of rolling mile, create a custom pace alert, and cadence. Automatic workout detection now. Start and End. Siri Shortcuts from iOS 12 will be in WatchOS 5. Third Party apps on Siri Watch face. no longer need to say Hey Siri, just raise your wrist and talk. Webview from mail or messages. 3rd party apps can play background audio. Pride Month- New pride edition watch band and face available. Free Upgrades to movies you own to support Dolby Atmos. Live channels and Live sports in TV app. Zero Sign in will unlock all your apps if you are on the provides Internet connection. Apple TV remote automatically installed in control center. New Earth Aerials from International Space Station to use as screen saver. MacOS is designed for everyone. Dark Mode that turn everything black, easier to read things in the dark. Dynamic Desktop, that subtly changes your system throughout the day based on the time. Desktop Stacks – help group your files on your desktop to clean up the clutter. HomeKit also coming to the Mac so you can monitor cameras, set scenes, and control your home with Siri from your mac. Update coming this fall with beta for developers today. All this info can be seen on Apple’s website.